Download Bus Tracking Mobile App Free PSD. 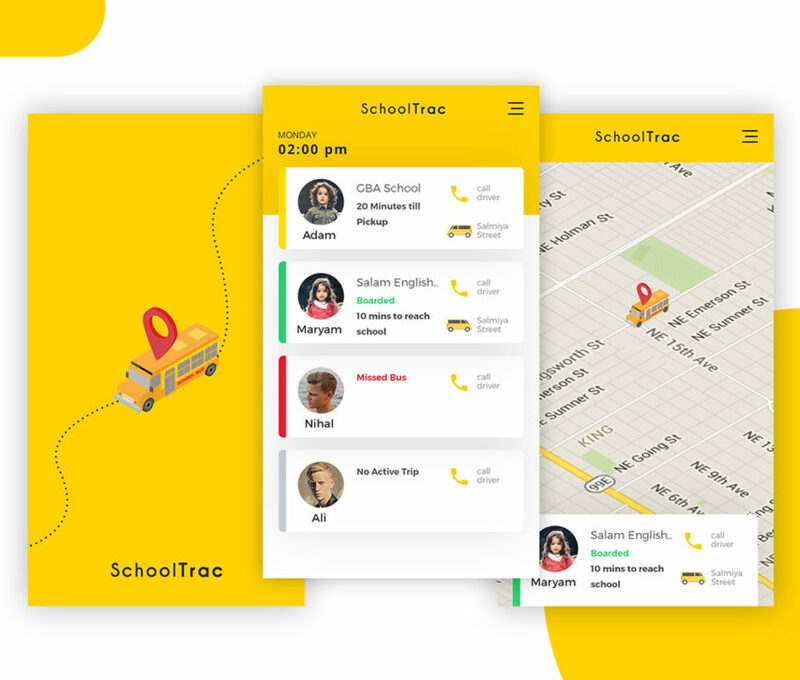 This is a well designed school bus tracking app design from which you can also use for different ui components in your similar Tracking App Design projects. It’s designed to track time for multiple subject and to determine the overall status of the passengers. Hope you like this Bus Tracking Mobile App Free PSD. Enjoy!